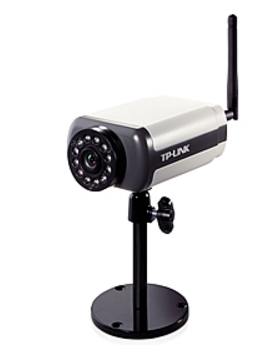 I have few of these and due to recent hackings of ip – cameras and IoT devices, I decided to take a look at my own cameras (that are behind NAT by the way)… It was an interesting thing to do some research on these devices and they were actually very easy to pop. Here is a method to root the device. Browsers connection was through Burp Suite so I could intercept and check the requests back and forth between the device and my browser. Of course, OWASP ZAP or something similar could also be used to do this. TP-Link TL-SC3171G IP-camera main settings view. 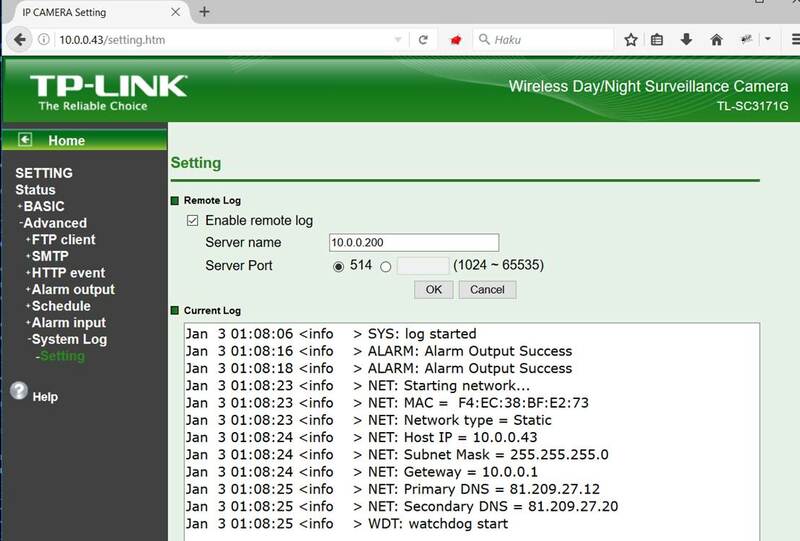 When browsing through the the web interface, I ended up to a page that showed devices syslog. Interesting. ”READ.filePath=syslog” ? I changed that parameter to ”/etc/hosts” – file and noticed that I could read files from the device file system. Any file. 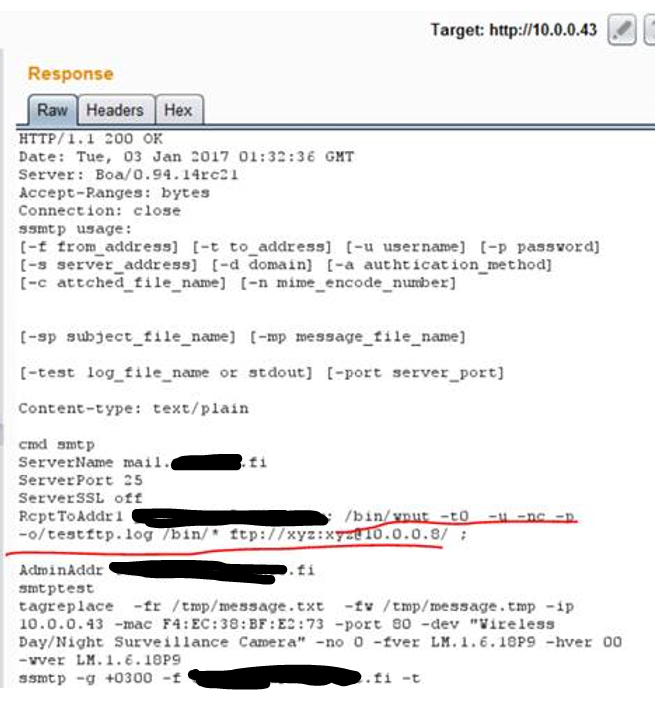 After some enumeration, I didn’t find any ’jackpot’, so I moved on…After few minutes of research I found another interesting request that was made when testing the SMTP option on the device. #1: I found a request that enabled me to write files anywhere I would like on the device. Thought this didn’t help me much, since I didn’t know where the cgi-bin was and there were no open ssh/telnet ports etc. #2: that same ”Test” option sended another request. It compiled a command from the info user had filled to the form. Note 1: value had to be URL encoded so it goes through. Note 2: Probably all variables include RCE possibility on that request since they are not properly sanitized. After few tests I noticed that the default user is ’qmik’ (argh, it says ”QMIK login”…) and the user had sudo rights. 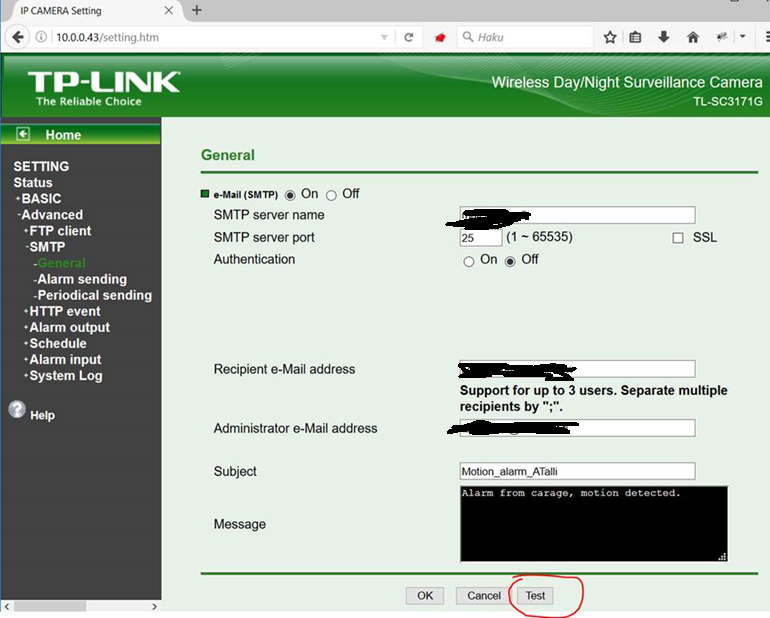 Oh, and that IP-camera doesn’t use any CSRF tokens, so it’s also possible to get your camera hacked by just visiting some malicious sites (if you’re logged in to the camera). Oh yes, and did you notice that the camera uses basic HTTP auth? That means your browser stays logged in until you close the browser.